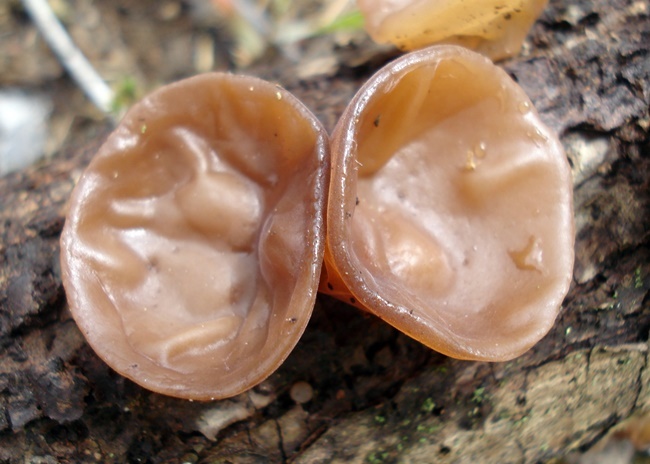 fruiting body is is up to 15 cm broad, ear-shaped, rubbery, orange-brown to muddy red/brown. grows in groups on conifers and logs, sometimes including hardwoods. appears in early spring, summer and fall. flavor is mild with no odor; cook before eating.